The Book. Few things are as universal, as ubiquitous and as transformative. 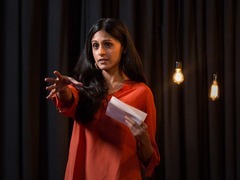 On this Book Lovers Day, we’ve compiled talks that examine all the facets that make books great. Do you judge a book by its cover, like Chip Kidd, or get absorbed into a compelling narrative like Andrew Stanton? Were you taken to new lands by foreign authors like Lisa Bu or exposed to nuances of your own language by a master of vocabulary like lexicographer Erin McKean? No matter what gets you nose-deep in a paperback, all you’ll want to do after watching these talks is curl up in your favorite reading spot and crack open (or at least swipe through) your favorite book. Chip Kidd: Designing books is no laughing matter. OK, it is. Chip Kidd: Designing books is no laughing matter. OK it is. Ever stopped mid‑aisle to examine an exciting book cover? Chip Kidd has. 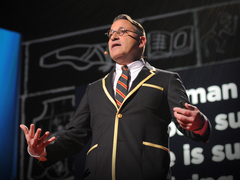 In his TED2012 talk, Kidd explains how he turned his love of reading and graphic design into a career designing some of the most interesting book covers in bookstores today. When her childhood dream didn’t come true, Lisa Bu turned to books. In her TED2013 talk, Lisa Bu relishes the books that helped her find new happiness. Envy. It’s an emotion you feel so poignantly because your mind knows exactly which details to include to really twist the knife. A look at envy in literature — and what we can learn from it. 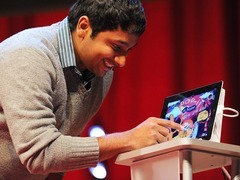 Artist Raghava KK debuts his new ebook at TEDGlobal 2011: an interactive, interchangeable children’s story. 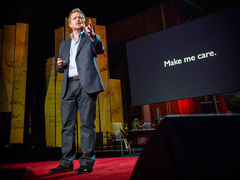 While he isn’t talking about books alone, screenwriter Andrew Stanton celebrates the art of storytelling and walks us through what makes a great story at TED2012. 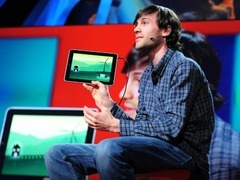 Mike Matas debuts the first wholly interactive book for adults at TED2011. When was the last time you looked up a word in a big paper dictionary? 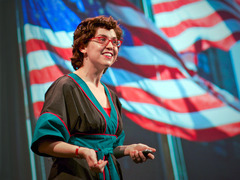 Erin McKean knows it probably wasn’t recently. In her TED2007 talk, McKean laments the loss and explains why the dictionary must evolve or die. Bibliophiles tend to take books for granted but, as Arthur Attwell points out, in many places books are not just a treasure, but an inaccessible luxury. In his TEDxCapeTown talk, Attwell introduces Paperight, a website working with copy shops and publishers to make access to books as common as reading itself. What are you doing for Book Lovers Day? Pingback: Links cleanup | "Is this book even good?" Got some watching to do, readers! Pingback: Lovely, Lazy Saturday | Hit & Ms.
Reblogged this on lotus lifestyle.